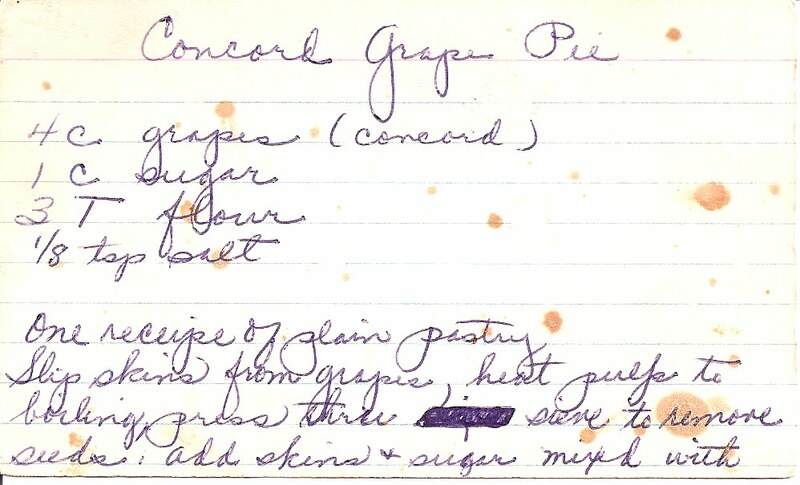 Due to reports of a recently undercooked pie, we are updating the cooking instructions for the Concord Grape Pie. Our apologies - the previous posting of the recipe was missing the instructions on the back of the card. 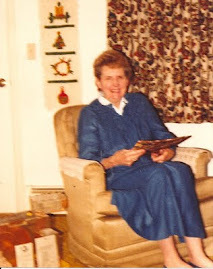 Grammy Gertie told me recently that she and her friends in Pittsfield will be making Concord Grape Pie as a cooking demonstration. They're waiting for the Concord Grapes to come into season, which should be soon. -Slip the skins off of grapes. -Heat grape pulp to boiling, then press through a sieve/strainer to remove the seeds. -Add grape skins back along with sugar, flour and salt.